In 2002 Marilyn joined the Mendocino County Health and Human Services Agency. In her current position as Staff Services Administrator, she is a member of an 8 person leadership team where she contributes her skills to policy development, internal and external communication, project analysis and implementation. Previously, Marilyn co-founded Phoenix Hospice in rural northern California, serving as Director for 13 years. Marilyn guided this small, grassroots organization into an expansive and recognized affiliate to local hospitals and health care programs. She brings a wealth of experience in nonprofit development and program coordination to the advisory board of Collective Solutions. 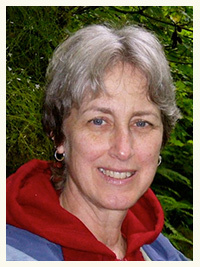 Marilyn currently resides in Willits, CA, where she happily experiments with various permaculture and gardening practices.